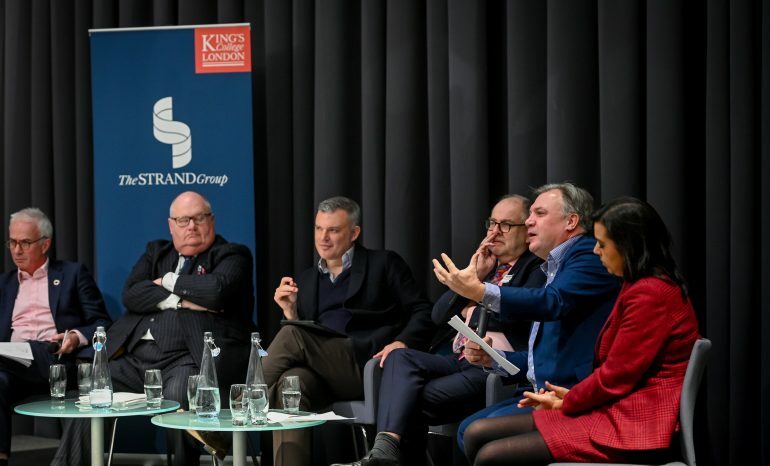 On 11 February, Ed took part in a Forum event, hosted by the Harvard Kennedy School’s Institute of Politics, discussing how Britain got to the point of Brexit and what is likely to happen in the run up to the UK leaving the EU on 29 March 2019 - and beyond. Ed was joined on the panel by Harriett Cross, British Consul General to New England, and Amanda Sloat, Robert Bosch Senior Fellow, Center on the United States and Europe, Brookings and Fellow, Project on Europe and the Transatlantic Relationship, Belfer Center for Science & International Affairs. The Forum was moderated by Cathryn Clüver Ashbrook, Executive Director, The Future of Diplomacy Project and Executive Director, The Project on Europe and the Transatlantic Relationship. Watch the video of the Forum, ‘Brexit: What’s Next?’ here. This paper represents the fourth phase of a research project conducted by the Brexit team at Harvard Kennedy School’s Mossavar Rahmani Center for Business and Government, which examines the impact of Brexit on small and medium-sized British businesses. In October and November 2018, the team returned to the SMEs that had been consulted over the past two years to get an update on their views on Brexit and the UK Government’s negotiations with the European Union. Most of the businesses have not changed their underlying positions on Brexit: the vast majority of businesses want to remain in the EU, or to see the Brexit negotiations result in a future relationship that facilitates frictionless trade, access to skilled and unskilled labour, and aligned regulation. A majority of respondents would be inclined to support the Government’s proposed Draft Withdrawal Agreement (“DWA”) and Draft Political Declaration (“DPD”) if the only alternative is a “No Deal” scenario. However, many expressed deep concern about the continuing uncertainty created by the Government’s plans - a “Blind Brexit” under which the future UK-EU relationship is negotiated only after the UK has left the EU. Most companies want more detail, less uncertainty, and a greater guarantee of future proximity to the EU than the Government’s proposals offer. This research is primarily based on 180 interviews with over 120 small and medium-sized businesses, academics and trade association over the past two years, and draws on interviews and research from previous papers. The paper, co-authored with Peter Sands, Emily Benn, Kevin Ferriter, Tobias Garnett, Eleanor Hallam, Sebastian Leape and Nyasha Weinberg, can be read here. The paper concludes that both US and UK officials are doubtful that a meaningful deal can be reached therefore British business should not bank on the prospect of a US-UK Free Trade Agreement. While it might be a great idea, this research suggests such an agreement is not going to happen any time soon, and that any gains will be very hard to realise. The paper, co-authored with Eleanor Hallam, Sebastian Leape and Nyasha Weinberg, can be read here. This paper represents the second phase of a research project exploring the challenges and opportunities from the perspective of mid-sized British businesses. Based on interviews with over 120 individual businesses, trade associations and experts, this research seeks to identify and discuss the issues and priorities of mid-sized British businesses as the UK progresses towards exiting the European Union. Highlights from this second phase of research include: most businesses want to remain in the Single Market, and if that proves impossible, to stay in the Customs Union; most businesses fear Brexit will result in more regulation, not less; and almost all British businesses want to maintain flexible access to EU labour. The key conclusion from these interviews is unambiguous: most British business leaders are concerned that the current path of Brexit could well cause significant damage to business, both because the end-point will inevitably mean more barriers to trade, most likely more regulation, and almost certainly less influence; and because the process of leaving the EU is creating huge uncertainties and diverting management efforts. The paper, co-authored with Peter Sands, Eleanor Hallam, Sebastian Leape, Mehek Sethi and Nyasha Weinberg, can be read here. Brexit implies profound changes for British businesses: from how they trade, to how they are regulated and how they employ people. 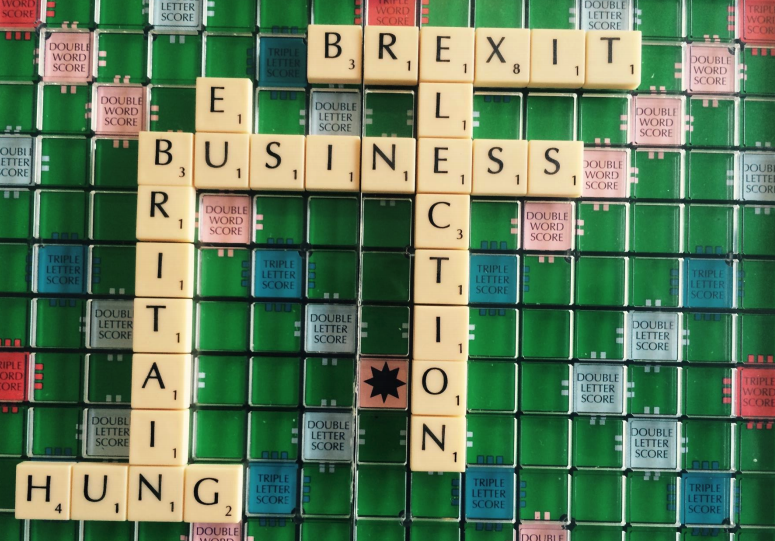 To explore the challenges and opportunities, Ed and the Harvard team interviewed over 50 mid-sized British businesses and trade associations, with the objective of identifying the key execution priorities for Brexit from their perspective. The paper sets out the findings from the interviews and draws conclusions for policymakers. Key themes emerging include: the overwhelming importance of securing a good trade deal with the EU; the concern that Brexit would lead to an increased regulatory burden not a reduction; the need for continued engagement with EU regulatory agencies; the fact that Brexit will necessarily trigger a fundamental rethink of policy towards some sectors, in particular agriculture; and the need to upgrade customs control procedures and revamp the immigration system. The paper, co-authored with Peter Sands, Sebastian Leape and Nyasha Weinberg, can be read here.